Weapons and firearms laws are complicated and cover such areas as carrying a concealed weapon, brandishing a firearm, and negligent discharge of a firearm. It is best to play it safe and speak with an experienced gun crimes attorney if you find yourself facing firearms charges. Certain crimes have enhancements that significantly increase the criminal penalties if a defendant was in possession of a firearm during the commission of the crime. If you are convicted of an armed felony, not only can you face prison time for the felony, but also an increased prison sentence for having a gun. California has some of the strictest sentence enhancement laws in the country. For example the “10-20-life” law subjects anyone who uses a firearm when committing a felony to 10 years in prison for using a gun, 20 years in prison for firing a gun, and a life sentence for killing or seriously injuring another with a gun. If you are charged with a crime involving the use or possession of a gun, you need to discuss your case with a knowledgeable criminal defense attorney who has expertise in gun crimes, weapons laws, and firearms laws. 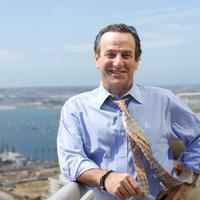 Contact San Diego Gun Crimes Attorney Michael Berg today at (619) 239-2186 to schedule a free consultation on your case.